← FAIRNESS: Social Engineering Feat or Trait Intrinsic to Humanity? Female artists are an integral piece to an enlightened and diverse culture, and indeed, society. We are honored to share a particular musician with you, a young lady with great leadership, inner compass, and sultry vocals that are launching her skyward. Add guitar, keyboards, and songwriting to her repertoire, Katie Rose, is more than an average rocker. Here’s our interview. RFX: Katie, great to have you as our guest. You’re a great talent, you sing, play guitar, and have quite the resumé for a woman under 21, how did you get started? RFX: That’s funny. But was your childhood, beyond that, leading you toward artistic expression? KR: At age 9 I started wearing lipstick, powdering my face, and posing for the camera like some famous singer. I walked the red carpet (in our living room) and sang into my hairbrush! It wasn’t long after then that I gave my first performance at the Eagles Club. I just continued to practice on my Karaoke machine, so kinda, yea. My mom, I remember, encouraged me to enter a talent contest. I was so shy, but I ended up winning. I recall the teachers (judges) made me do additional acappella because they thought I lip~synched! And you know, after that I competed against established bands in an idol~type contest, and after winning that I had confidence my dreams were coming true! RFX: That’s neat. What is it about singing (and mom’s encouragement) that has kept you performing? KR: I love being on stage. I love feeling the crowds’ energy, how music affects people, and singing for others is a priviledge. I did fairs, benefits, or whatever, just to stay busy performing. I just know deep in my heart that I am supposed to be a singer. It’s my destiny, and I don’t see myself doing anything else. RFX: Right, it’s like the universe works when you’re doing whatever you’re supposed to. K, talk about your release of original material and how writing came about for you? RFX: What’s Reverbnation? And tell us about your charity work there. KR: Reverbnation is a site where musicians can be found, sell, promote/share music, find gigs, and create merchandise. There are a lot of other resources there also. ‘SPONTANEOUS’ on iTunes, I felt I witnessed you blossom, musically. What do you see yourself doing next, and do you have a favorite mic or guitar? KR: Well, I do think I’ve grown musically. I have vocally as well, and even though I want to continue my writing, there are still covers I want to do; there are just so many great songs out there. But, I want to work with open~minded people; those who are the best at what they do. Really, people who motivate me to become a greater artist, that would be amazing! Oh, I don’t have a favorite mic, just a clean sounding one…I love Martin acoustic guitars, and the unique sounds of Fender or Gibson electrics. RFX: K, please come back anytime. You’re a great inspiration, a perfect role~model (who drives her sis to college all the time), you have it all~you have looks, great vocals, you self~taught guitar, leave us with a little advice for dreamers and would~be singers who want to walk in your shoes someday. KR: OK. Mmm..keep a positive mindset, don’t allow jealousy or negativity to obstruct you; don’t worry about trying to please everyone, that’s an impossibility. Give your best efforts, be patient, practice, and believe in yourself or no one else will..and never, ever turn down any opportunity to perform. RFX: And listen to mom, right? KR: I love you, mom! 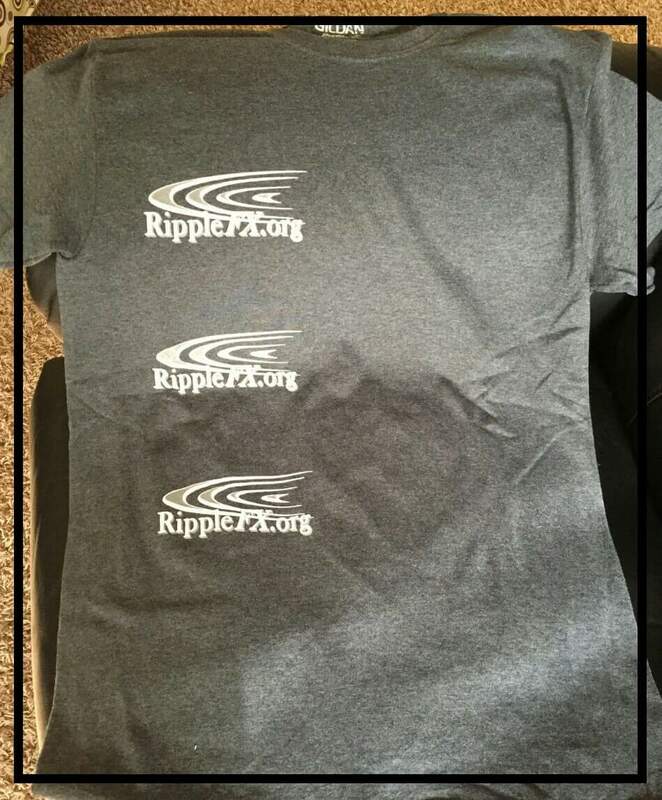 Posted on November 12, 2013, in history, Sociology and tagged Katie Rose, RippleFX Foundation. Bookmark the permalink. 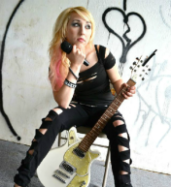 Comments Off on Katie Rose: More than a Lady Rocker.